This dish is great just to have on hand in your refrigerator to snack on. In my house, there’s almost always a container of it. It makes a great appetizer or a perfect light meal. 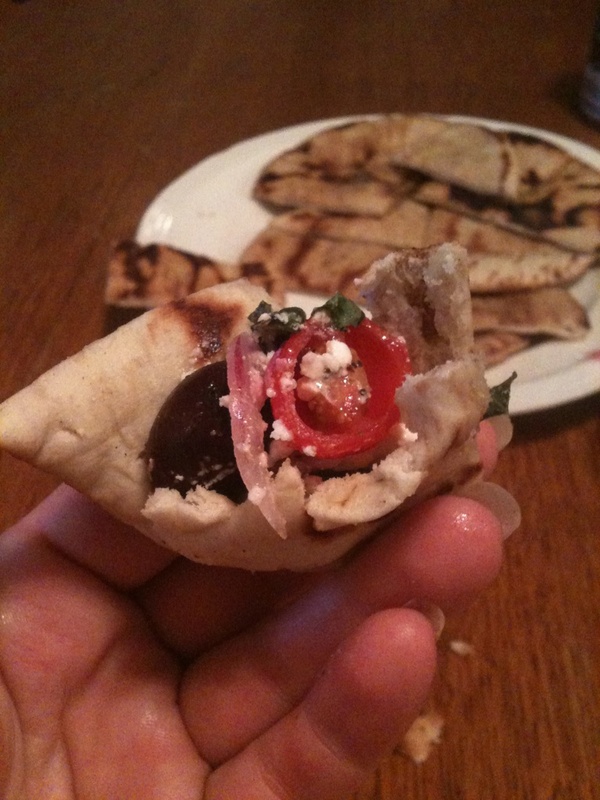 And, it goes really nicely on some freshly made pita bread (see my prior post for the pita recipe). In a large bowl, soak tomatoes, cucumber and red onion in vinegar for 20 minutes. Pour into a collander and let strain 20 mintues more. Put mixture back into the bowl and toss with olives, basil, oregano, thyme, garlic and olive oil. Top with feta cheese. Serve plain or with pita. Keeps in frefrigerator a week or more. 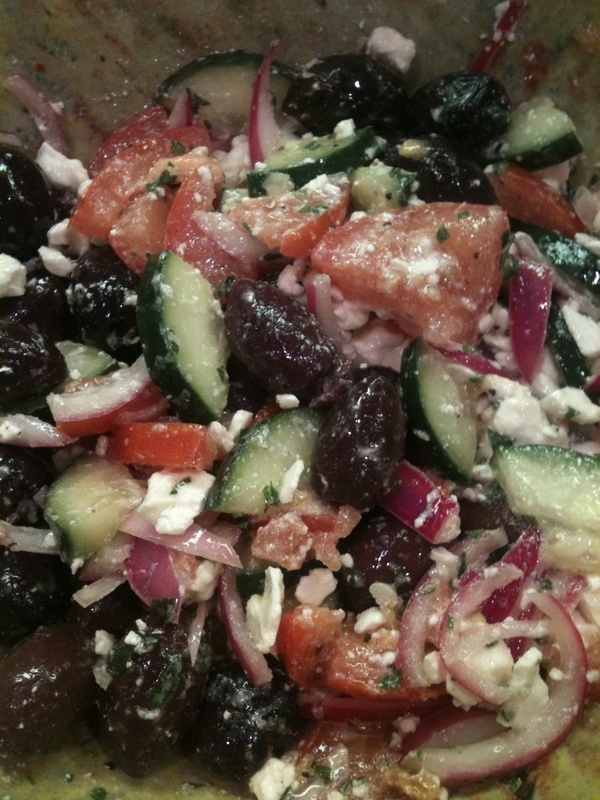 Tags: diabetic friendly recipe, easy appetizer, food, greek olives, greek salad recipe, greek vegetable medly, light meal, mediterranean salad, party food, pita, recipes, salad recipe, vegetarian recipes. Bookmark the permalink.